Haiti's devastating 7.0-magnitude earthquake in January 2010 and a deadly cholera outbreak last month has kept the Caribbean island country a central focal point for LDS Church humanitarian-relief efforts for a year. 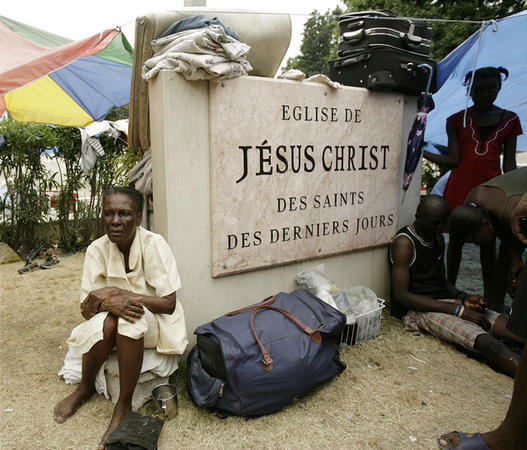 Similar to providing ongoing humanitarian assistance in other disaster areas such as Samoa and Indonesia, The Church of Jesus Christ of Latter-day Saints is committed to aiding Haiti and its people with long-term assistance. "Long-term" may be the operative phrase, since the church — like nearly any other international nongovernmental organization (NGO) providing relief aid — still is stymied a year after the Jan. 12 quake by the impeding mountains of concrete rubble, a crippled Third World economy and a worsening government that lacks leadership and stability. "We're in as good or better of a place as any NGO," said Lynn Samsel, the church's director of humanitarian emergency response and community services.